With Big Hero 6 heating up the box office over the weekend, Disney Studios is firming up their slate for 2016 this week. s expected, Disney has confirmed Zootopia for theatrical release and 3D screens on March 4, 2016. 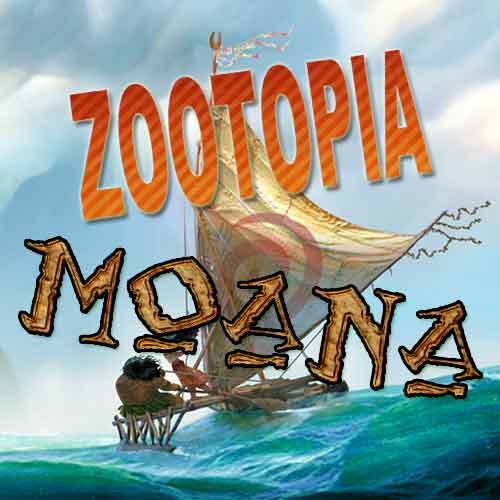 Later that year, the Polynesian-flavored Moana will open for the holiday crowd on November 23, 2016. Both films are CG-animated features. Zootopia is set in an animal world where humans have never existed. A fast-talking fox is on the run from a crime he didn’t commit. Zootopia’s cop, a pompous rabbit, is out to get him. Until, that is, the two become targets of a conspiracy, which then leads to a long-lasting friendship. The film is directed by Byron Howard, who co-directed Bolt with Chris Williams in 2008, and co-directed Tangled with Nathan Greno in 2010. The film will release against the sequel to Prometheus and a Tim Burton film titled Miss Peregrine’s Home For Peculiar Children. Moana is the newest feature from the team of John Musker and Ron Clements, who brought us such films as The Little Mermaid, Aladdin, and The Princess And The Frog. The film is the story of Moana Waialiki, a sea voyaging enthusiast, and the only daughter of a chief in a long line of navigators. When her family needs her help, she sets off on an epic journey. The film will also include demi-gods and spirits taken from real mythology. What Was The First Color Animated Short Film?